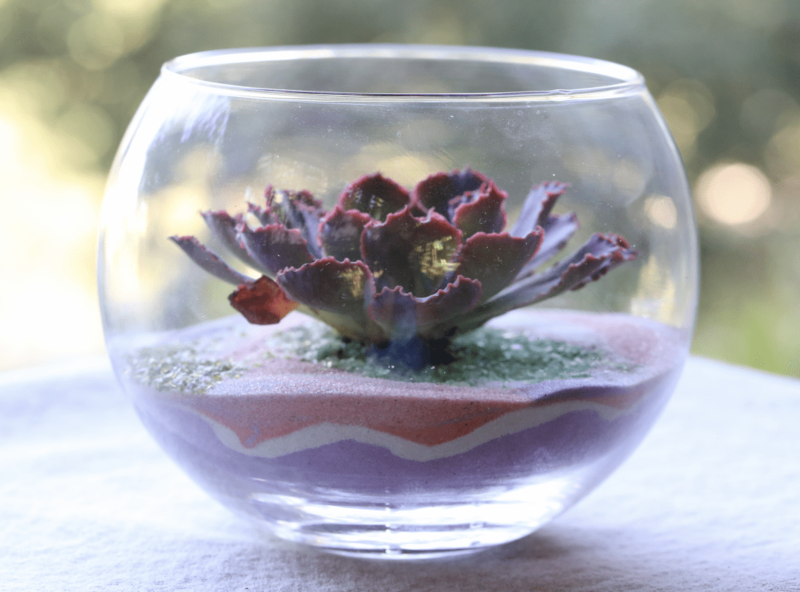 OK, we all know that succulents are low-water plants. But they’re not “no-water” plants. Although they may survive without irrigation during the heat of summer, they’re unlikely to be lush and healthy. — Check your automatic irrigation system. Trust me, it needs it, and maintaining it can mean life or death to prized plants. Watch for leafy growth blocking sprayers, clogged riser heads, and plugged drip lines. — Pay keen attention to soil moisture during heat waves and desiccating winds. — If the ground is concrete-hard, leave a hose dripping overnight to create an underground cone of moist soil. — Trees and shrubs want water where their canopies would naturally direct rainfall: around the perimeter of the plant. — Add gravel topdressing around succulents (or use organic mulch for woody plants) to help hold moisture in the soil. — Take the opportunity, when hose-watering, to blast pests, fallen leaves and dirt out of leaf axils and the centers of rosettes. — Use a hose-end sprayer—ideally one with multiple settings—to direct water where you want it. — A hose lying in summer sun may contain scalding water. You already know this, but your house-sitter may not, so be sure to mention it. — If you have a hose-full of hot water, aim a fine spray skyward. Droplets will cool by the time they hit leaves. From my website’s FAQ’s: Aim to keep soil about as moist as a wrung-out sponge. About once a week should do it. Water thoroughly to soak the roots and flush salts. Let common sense prevail: Water more during hot, dry spells and less or not at all during periods of high humidity, cool temperatures and rain. ALSO SEE: Page 56 of Succulents Simplified, pp. 219-222 of Succulent Container Gardens, and pp. 134-135 of Designing with Succulents (second edition).